For those who have an appreciation for documentaries, indie or foreign films, Florida Atlantic University’s Living Room Theater won’t disappoint. Located just off of I-95 at the campus’ east entrance on Glades Boulevard, this gem can be found right in the heart of FAU’s Boca Raton campus in its Culture & Society Building. The recently constructed facility features a box office, lobby, concession area, café, and four intimate 49-seat screening rooms. While you can always find new release feature films in the large theaters in the area, the Living Room Theater specializes in award winning art house films. Those hard to find films, coupled with unique opportunities to engage in in-depth discussion about these films with actors, directors, and other cinephiles, attract an intellectually curious audience looking for a different type experience from what an average movie theater can offer. From the outside, the building that houses the Living Room Theaters doesn’t look any different from any other buildings on the campus. Once you’re inside, you’ll find that it offers an experience all its own. You enter a light and airy lobby with floor to ceiling glass windows that filter sunlight but still allow it to set the room aglow. The box office, highlighted by an impressive green glass art installation above it, greets visitors as they enter the building. A marquee next to the box office window lists the current and upcoming features and a video screen above plays continuous film trailers. The mezzanine features a constantly changing collection of art and photography that can be purchased. Your film experience also allows for a culinary experience to match it. An impressive, classic film photo collection adorns the walls of the casual cafe and tasting room that offers a dozen tables and window-facing bar seats. The menu features a number of European styled small plates, some of the many culinary creations of well known South Florida Executive Chef Denex Attelus. There is also a selection of paninis, kabobs, salads and soups. For vegetarians, a very popular choice is the Mezzanine Plate complete with a sampling of hummus, tabouli and pita. These dishes are complemented by the cafe’s full service bar, which offers a number of locally-sourced craft beers and fine wines. Eat in your seat. Much like the experience we’ve come to expect of area theaters like CineBistro in Miami or iPic in West Palm Beach, servers at the Living Room Theater deliver dinner to your seat while you’re watching the film. Because the theater’s four screening rooms have access to the café, you don’t have to plan dinner around a particular film. Naturally, traditional favorites like candy and popcorn options are available in the theater’s concession area. However, FAU adds a bit of flair by substituting an olive oil and seasoning concoction for the standard melted butter. Today’s modern multi-screen movie theaters easily dwarf any one of the Living Room Theaters’ four screening rooms in sheer capacity. But chain cinemas don’t offer the unique screening choices available here, and, with rare exception, larger venues do not offer the intimacy and relaxed feel of the luxurious, reclining seats in the Living Room Theater’s screening rooms. Speaking of which, each pair of chairs is separated by a center console armrest and cup holders. There’s also sufficient space for food trays. Seating can be reserved online through the theater’s website. You want to use this service because all seating is assigned. That means no more box office lines and no more arriving just at starting time only to discover that the film is sold out. You’ll always know beforehand. It is a very good idea to reserve well in advance, especially for events like the always sold-out Wednesday Movie Club. Held every Wednesday evening at 7:00 p.m., this event has gained in popularity since this theater’s opening just a few years ago. At each meeting, art house film aficionados gather to take part in a pre-screening discussion followed by an advanced screening of an upcoming art house film release. After the movie wraps, another post-screening discussion takes place among those in attendance. These discussions are led by the Director of the Palm Beach Jewish Film Festival and multi-Emmy nominated television producer, Larry Ferber. Many regulars attend the club week after week not only to enjoy first run foreign, indie and documentary films, but for Ferber’s spirited introductions to the films. It’s not all that uncommon for actors or directors of the films to attend and field questions from the audience. This club, which is open to the general public, does not require membership fees to join. It is included with the cost of a regular film screening. Visit the website for information. The theater’s website, at fau.livingroomtheaters.com is your easiest source for current and upcoming features, showtimes, and purchasing tickets, as well as reviewing the cafe’s varied menu. Although parking in surface lots is free for movie goers, a small surcharge is added into your ticket costs to cover maintenance. A different kind of date night. 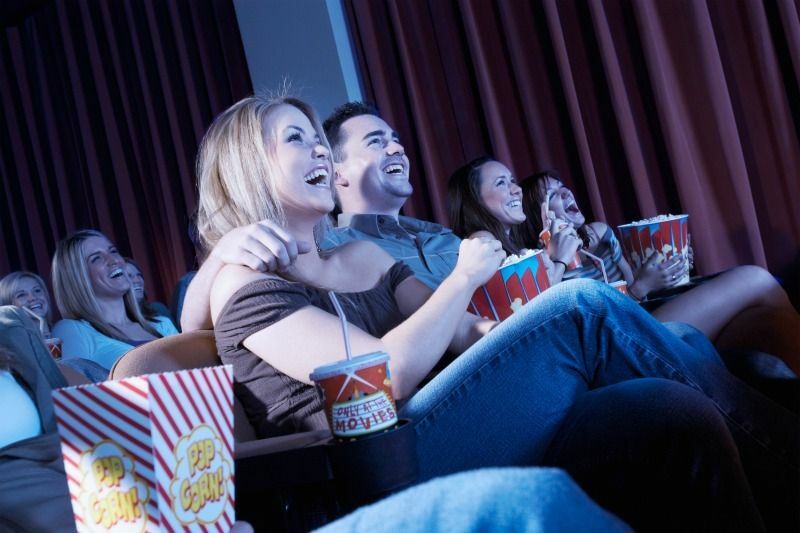 If you’re looking for a unique idea for date night or a thought-provoking alternative to your regular movie going experience, then a visit to the Living Room Theaters at Boca Raton’s FAU campus might just be just what you’re looking for. The Living Room Theater is located on the FAU campus at 777 Glades Road, Boca Raton FL 33431. Phone number: 561-549- 2500.